Draw no bet is a protective betting market in which you will get your stake back if the game ends in a draw. You will have backed either the home (1) or away (2) team in making this bet. Below is a draw no bet calculator to help you work out what the exact odds should be. Simply enter the 1X2 odds to get the exact draw no bet values. A successful bet for Chelsea yields an £80 profit, while Man Utd will deliver £90. However, a draw will result in the return of your £100 stake. If you wanna see how it works, read below! Calculating the true odds for draw no bet can be relatively simple. For this example, let’s take a £100 wager and divide it by the draw at 3.40. This works out as £29.41, which is the size of stake required to win £100 if a draw occurs. The remainder of the £100 backs your chosen team. Stick with Chelsea at 2.60 and the stake would be £70.59 (£100 – £29.41). A £70.59 stake can result in £183.53 winnings. To figure out the true odds, you take the £183.53 for Chelsea winning and divide by the £100 stake. Should I Back Draw No Bet? In this example, Chelsea are available at 1.80 for draw no bet. However, we know that the true value should be approximately 1.83. 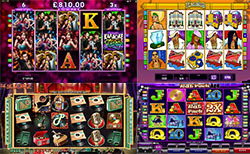 Now you get to know you are missing out on £3.53 worth of winnings by selecting draw no bet. Fortunately, you can back Chelsea to win with £70.59 and the draw at £29.41 to avoid missing out on the £3.53 winnings that are available at the true value. Conversely, there is an interesting outcome if Man Utd win the game at 1.90 for draw no bet. Those odds are above the 1.83 true odds, so you would stand to benefit greatly if Man Utd win. In this case, you would win £6.47 above the true odds with a £100 stake on Man Utd. This is a time when you definitely take draw no bet because you stand to profit to a greater extent. Taking a moment to understand the odds can help you to ensure that your potential winnings are maximised. For football fans, it is all too easy to make a hasty decision when faced with an array of betting markets on the screen. However, you can avoid these moments by using our online draw no bet calculator to see whether you are gaining or missing out. And don’t forget about the Excel calculator for use offline. Quality online sportsbook & casino since 1996!